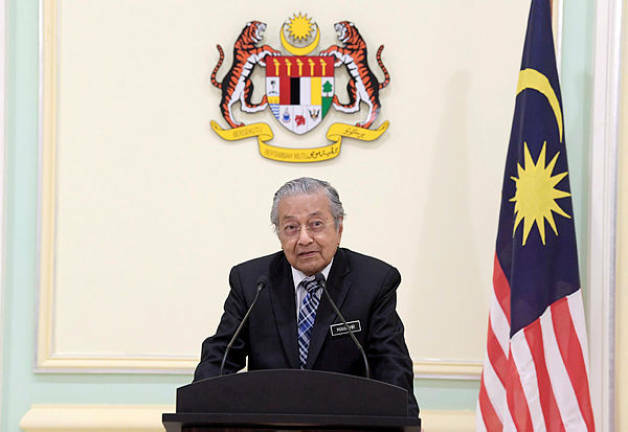 07 Dec 2018 / 20:25 H.
ALOR STAR: Prime Minister Tun Dr Mahathir Mohamad has called on the four component parties in Pakatan Harapan (PH) in Kedah to function as a coalition government and not individually. The Pakatan Harapan chairman said this was because as the ruling party in Kedah, the position of PH was not too strong and it needed consensus and solidarity among Bersatu, Amanah, PKR and DAP to maintain the administration of the state. “I think we should not focus on positions ourselves, whether who gets this position or not, we have to function as a coalition government and not as separate parties,“ he said in a video recording played at the Kedah PH Leadership Convention, here today. The convention was officiated by Kedah PH chairman Datuk Seri Mukhriz Tun Mahathir. In the video recording, Dr Mahathir also urged the convention to concentrate on efforts to strengthen cooperation and not squabble over positions in a certain party as it was feared it would weaken and impede unity in PH. “As such, I hope the convention will focus on cooperation in PH and not on matters about someone’s position ... which is not important. “If we can not cooperate, I am confident we will not last long as government ... this is the message for this PH convention and I hope the convention would produce incisive ideas to strengthen the Kedah PH government further,“ he said.